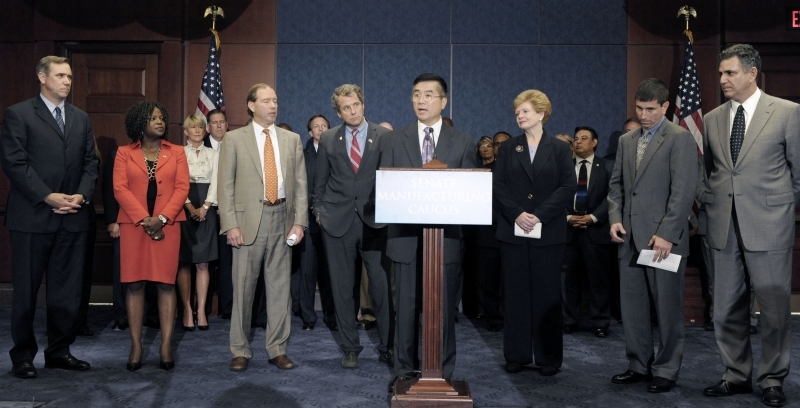 Today on Capitol Hill, Secretary Locke announced his appointment of 24 members to the 2010 Manufacturing Council. The Council is directed by the Department of Commerce’s International Trade Administration and was established in 2004 and recently re-chartered. Locke was joined by members of the Senate Manufacturing Caucus, including Senators Debbie Stabenow (MI), Sherrod Brown (OH), Jeff Merkley (OR) and Tom Udall (NM). The Council advises the Secretary of Commerce on matters in the competitiveness of the manufacturing sector, and government policies and programs that affect U.S. manufacturers. The Commerce Department will schedule the Council’s first meeting in the coming weeks. Manufacturing is a key industry in the revitalization of the U.S. economy and the growth of U.S. jobs. The United States is the world’s largest manufacturing economy, employing nearly 12 million Americans in the production of $1.6 trillion in manufactured products, representing 18 percent of the world’s manufactured goods. Submitted on August 6, 2010 - 1:11am. I think one key area for promoting manufacturing is mass transit. There are now important initiatives underway nationally and regionally in this area.